Spinosaurus was a large carnivorous Cretaceous period (112-93.5 Mya) dinosaur characterized by its large thin back spikes. A giant predator on both land and water, similar to the present day crocodile, fossils prove that the Spinosaurus was as larger or larger than the Tyrannosaurus Rex. 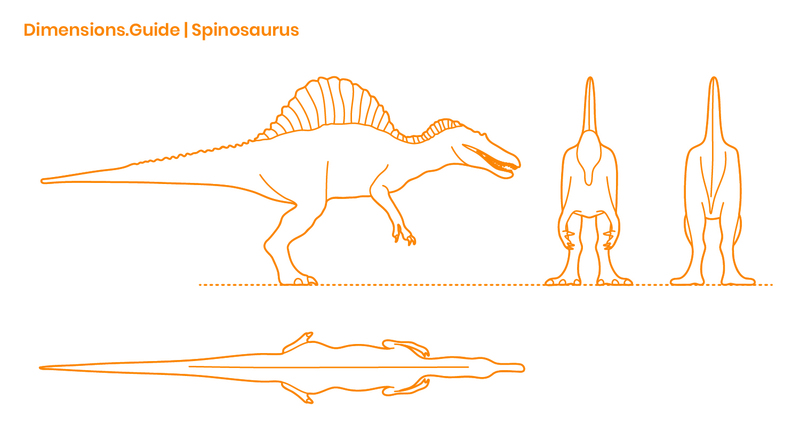 Spinosaurus has a length of 49’-51’ | 15-15.6 m, a head height of 16.5’ | 5 m, and an overall spine height of 21.5’ | 6.5 m.